On the seventh anniversary of the PlayStation 2's release in North America, Sony has said it has now sold over 120 million of them. The best selling games console of all time is still breaking records, having shifted six times as many units as the original Xbox. "Never before has an in-home game system experienced this type of worldwide success on such a long-lasting scale," said SCEA's vice president of marketing Peter Dille. "PS2 is a perfect example of our ten year product life-cycle promise and is a testament to the design and technology that continues to be at the core of the product. "We're very excited for its future." And if you thought the release of the PS3 meant the end for the PS2, you'd be wrong. Sony says it expects to sell another 10 million consoles in this financial year. And what's more, there will be 160 new games released for the PlayStation 2 platform in the next five months. Since the console's launch, Sony has successfully broadened the appeal of the PS2. It's much more of a family-orientated machine these days - its cool 20-something audience now replaced by squads of young teens who play SingStar and Buzz! PS2 versions of big gaming franchises are still popular - Pro Evolution Soccer, Need For Speed and MotoGP all have new titles out this year. But they are few and far between in a 2007 line-up that features games like Looney Tunes: Acme Arsenal, Bratz: The Movie and High School Musical: Sing It! 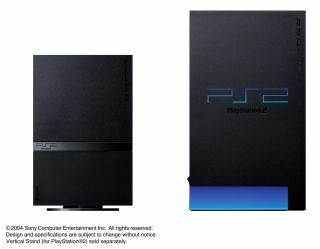 The PS2 currently retails online for around £90, around 30 per cent of the price of the new 40GB PS3, which now omits PS2 backwards compatibility.